Baker Perkins has developed a new flour-free bread dough forming system. 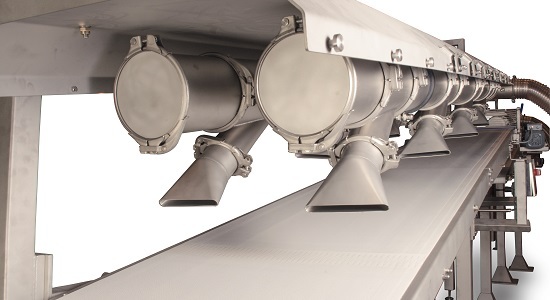 Flour-free operation eliminates dust from this part of the bakery, which leads directly to a reduction in operational, cleaning and maintenance costs as well as the elimination of cross-contamination risk. 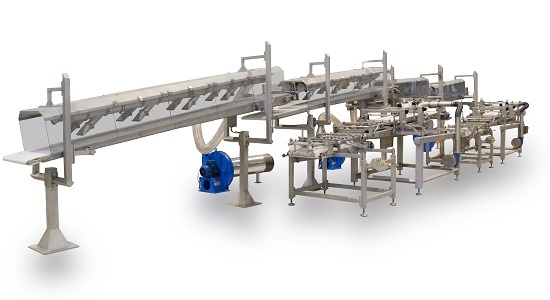 The system comprises divider, rounder, a flour free conveyor/resting system, and a Baker Perkins Multitex4™ moulder. The system ideally includes a Baker Perkins Accurist2.1™ ram-and-knife divider and conical rounder, but is equally compatible with an extrusion divider and bar rounder. No flour dusting is required on any part of the process. Even the stickiest dough pieces are prevented from adhering to the rounder, conveyors and moulder by a combination of process conditions, equipment design and choice of materials. Not only does eliminating flour dust reduce ingredient, cleaning and maintenance costs, it also removes a hazard from the bakery atmosphere. The Multitex4™ handles the dough pieces very gently, giving bakers precise control over the final structure of the loaf. Gentle handling preserves the cell structure developed in the mixer so the dough proves and bakes well to achieve the required shape, volume, colour and softness, but with less yeast and improvers. Alternatively, by using the same recipe these quality characteristics may be improved. Hygienic operation and rapid, repeatable changeovers contribute to exceptionally high operational efficiency. 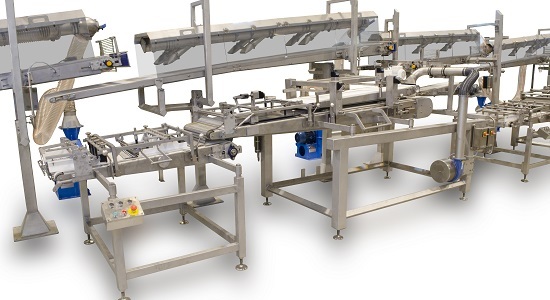 Production costs are further reduced because gentle handling eliminates the sticking and smearing that lead to jams, and means that a lot less cleaning and maintenance are necessary. 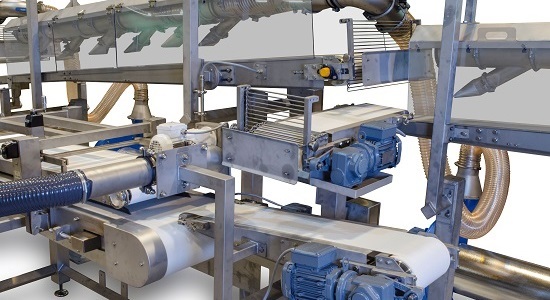 Baker Perkins' range of integrated dough forming systems has been well proven in numerous demanding, high-output applications. Precise mixing, accurate weight control and gentle dough handling all contribute to performance that drives bread quality up and production costs down.